Another full day of counting and banking. Twelve more tins coming in tomorrow then army cadets Thursday night and the schools on Friday - should be finished by Friday night. Back to work tomorrow so night counting only now. 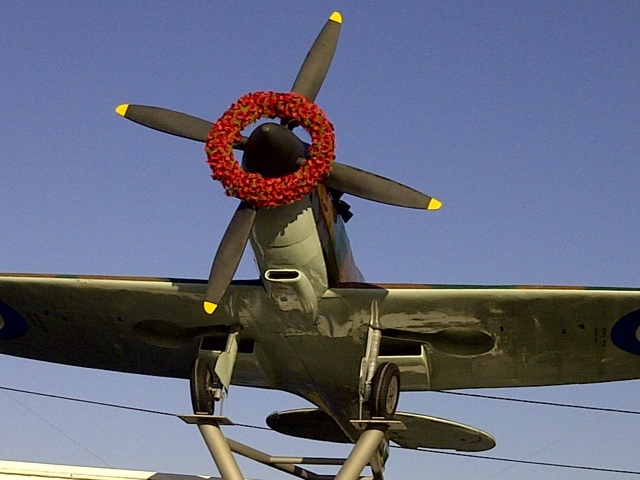 This year Lodge Hill in Abingdon requested a special wreath for their spitfire. This was made by Fabulous Flowers in Abingdon using altar poppies supplied by us. Went out today and collected over 100 tins and boxes today then four of us counted solidly for 7 hours whilst three other distributors dropped tins and boxes off. Finished at 8.30pm - one glass of wine and asleep by 9.30!! Ready to start again tomorrow as 60 tins lined up for counting! !